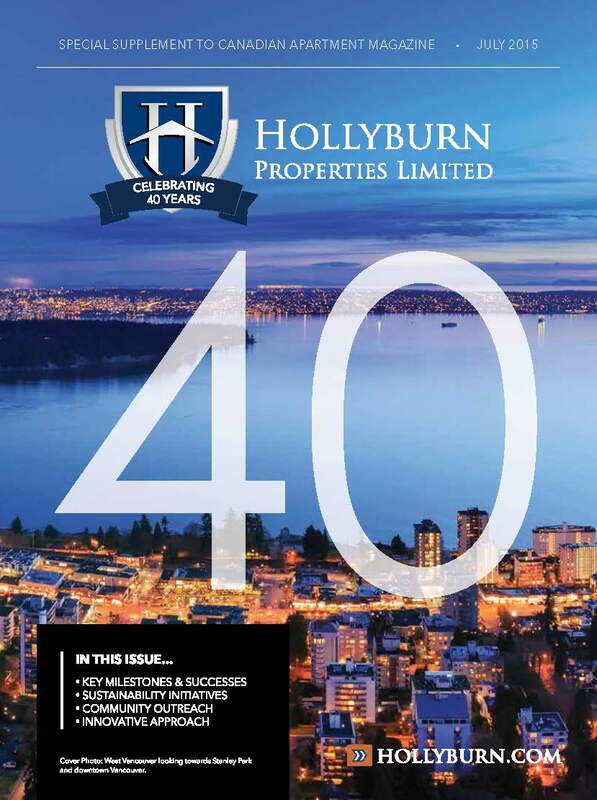 VANCOUVER – Hollyburn Properties Limited: Building on a Legacy. Innovation, integrity, and unparalleled customer service. Since its formation in 1975, these have been the founding principles that have made Hollyburn Properties Limited a pioneer in apartment rentals management. Now, on the eve of its ruby anniversary, Hollyburn’s Directors are eager to take their family-run company to the next level while paying tribute to its 40-year legacy. Read about the company’s key milestones and successes, sustainability initiatives, community outreach and innovative approach in the Special Supplement to Canadian Apartment Magazine, August edition.